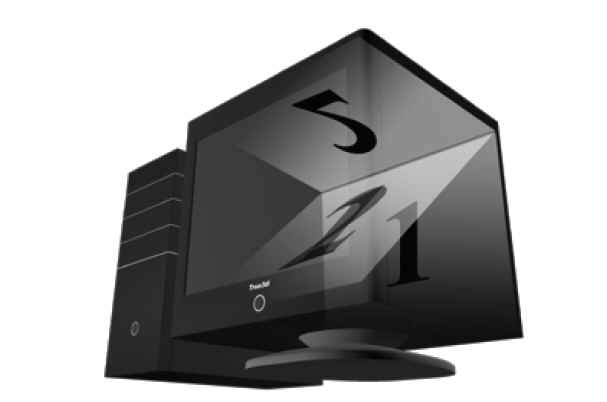 True 3Di Monitor- Only production two input polarized full resolution 3d monitor! This 3D Monitor has the highest resolution and widest viewing angle among many 3D stereoscopic monitors. It can be used with a video card with dual out (digital or Analog) or single out with a Matrox Dual Head2Go (available at most electronic retailers). Works with Parallel stereo stretched over two monitors or dual out. Works with Proshow Gold shows set up for 3D with no additional software needed. Electronic alignment for great 3D viewing. Can go from 3D to 2D at the touch of a button. Uses inexpensive linearly polarized 3D glasses. Works with Stereoscopic Player or Stereophotomaker with no additional software. Works with nVidia and most other video cards. Has dual Analog or digital inputs (see illustration). Use with VMD for viewing molecular models! Our stereoscopic 3D monitors (Model: TRUE3Di Series) deliver visually stunning 3D images. This is made possible using dual LCD screens, one mounted on the top of the monitor facing downward, the other at the back facing the viewer, a beamsplitter mirror bisects the two (see illustration). This creates two separate views rendering one complete image for the right eye and one for the left, with no resolution loss. When viewed using passive linear polarized glasses a true stereoscopic image is created. There are many different applications for this viewing platform. People who can benefit immediately already work with three dimensional imagery and are seeking a desktop or portable solution, rather than projection systems or head mounted gear. 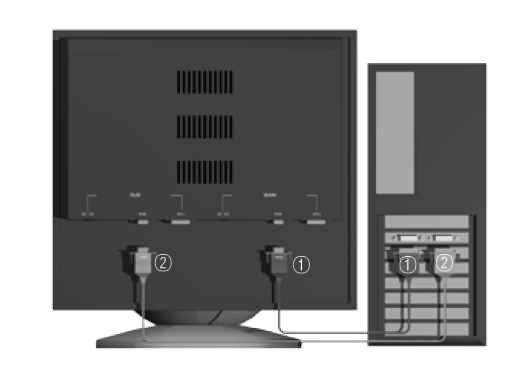 The basic requirement to take best advantage of the monitor is that you have a full resolution source for both right and left channels.